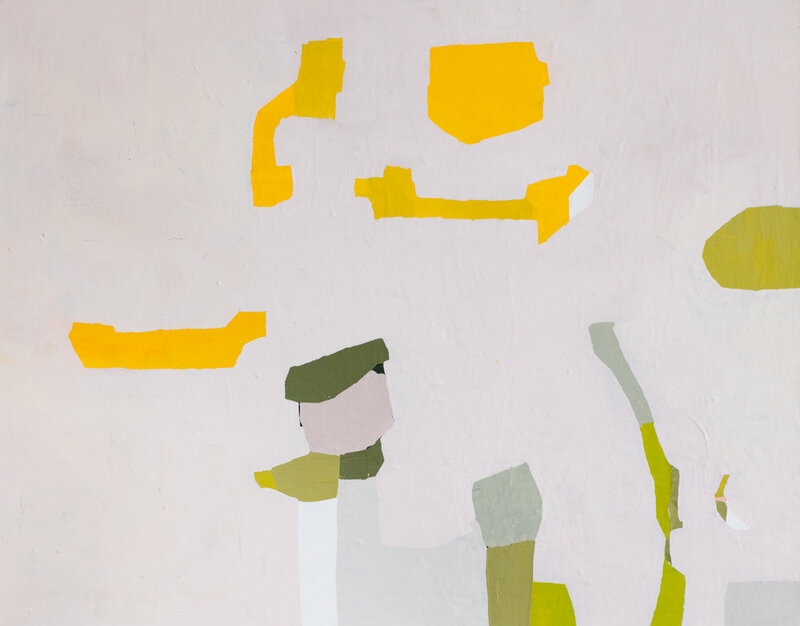 NEW YORK, NY – Jen Wink Hays' first solo exhibition with Sears-Peyton Gallery, Playing Field, abstracts the formal conceit of figures in a field to stage a sustained visual drama of the painterly concepts of figure and ground. Across more than twenty works in either oil or gouache, Hays' works interweave foreground and background in a prismatic interplay of spaces. 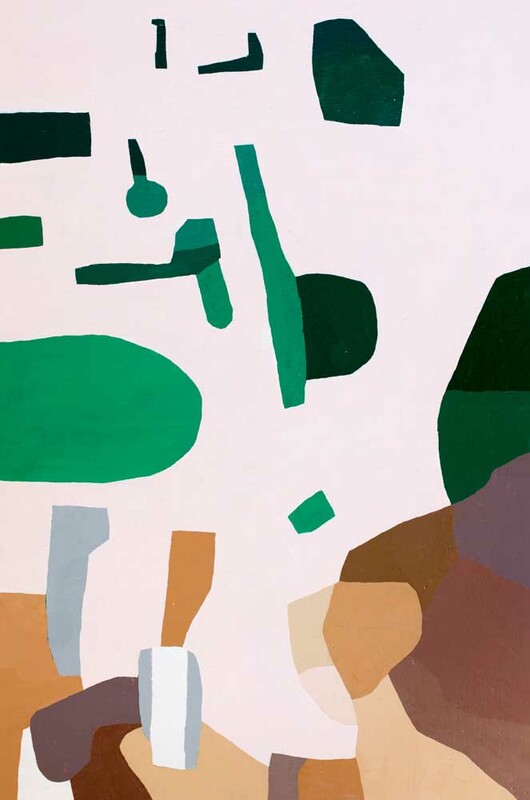 Hays' use of space and color reflects her appreciation of Milton Avery's subtle color geometries and Helen Frankenthaler's luminous, almost inhabitable fields of soaked pigment. "She [Frankenthaler] demonstrates how a purely abstract painting can have an arc and a complete story," Hays explains. 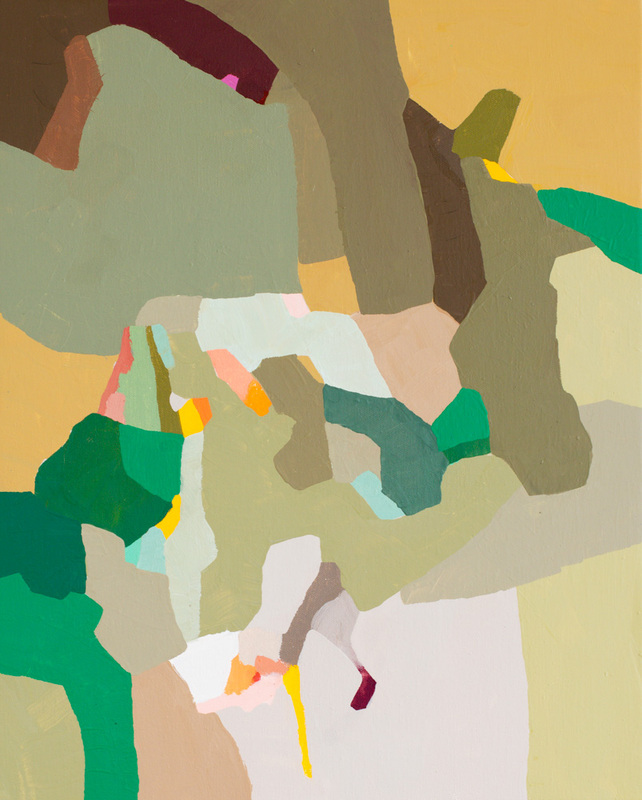 Raised in Maine and currently living in Philadelphia, Hays' forms, dispersed in expanses that both surround and unite them, can be seen to reference both the open field she walked between her house and her grandparents' in Maine as a child, and the urban landscape that surrounds individual buildings in Philadelphia. In Hays' painting Dreams and Things, marigold-yellow polygons and orbs of spring green radiate from beneath a subtle field of gray-pink. 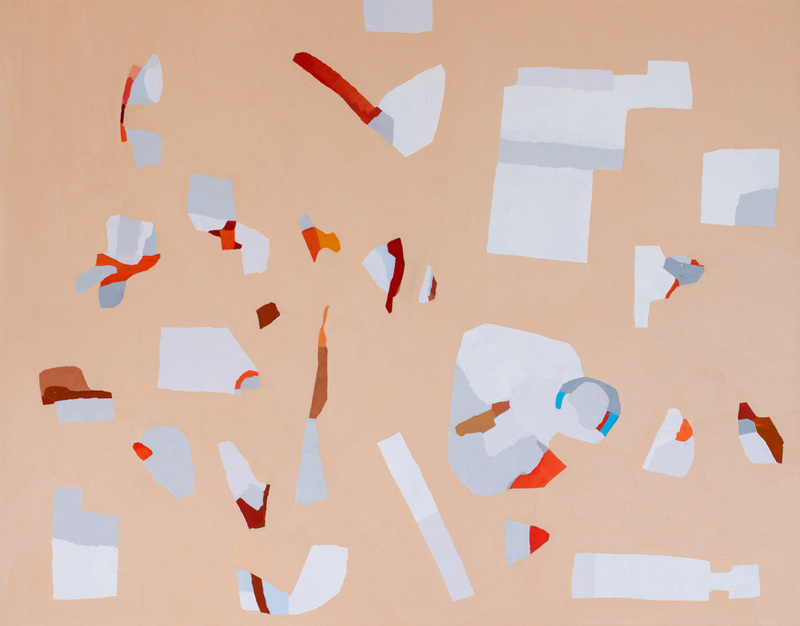 Rendered in a palette reminiscent of the pale intensities of fellow Mainer Lois Dodd, the forms in the painting levitate in peaceful balance with the field that weights them from above, tilting the eye in and out of the painting's spaces. Hays' own dramas of space, color, and form hold the intensities of color and field in breathless suspension. Jen Wink Hays: Playing Field is on view February 22 - April 7, 2018 at Sears-Peyton Gallery's Chelsea location at 210 Eleventh Avenue. There is an evening reception February 22 from 6:00 - 8:00 p.m. Gallery Hours are 10 a.m. - 6 p.m.Tuesday through Saturday. For more information or to request further press images, please contact the gallery at info@searspeyton.com.